AHHH!!!! This sale on the Dyson supersonic hair dryer is one of those deals I've been watching for vigilantly for months (even years!) and it's FINALLY HERE. A price that will blow you away (ha!) on my very favorite hair dryer in the whole entire world, that will literally change your life if you have long or thick hair that takes forever to dry. Right now the Dyson Supersonic Hair Dryer is ON SALE HERE 38% off for $249.97 (regularly $400!!!). The Dyson Supersonic Hair Dryer deal is 38% off because it's a refurbished model. My experience with buying refurbished items has been flawless – usually a minor repair is made, they’re just like brand new, and sold to a consumer for a deeply discounted price. It’s really one of the best ways to get an incredible deal on an item you’d otherwise maybe not be able to afford. It also comes with a 1 year warranty for peace of mind! I talked about my obsession with the Dyson Supersonic Hair Dryer in this post a few months back and I'm still just as in love. It really did cut my dry time IN HALF. It also has attachments that are magnetic (amazing right?!) and stay cool so you can swap them out mid-drying. 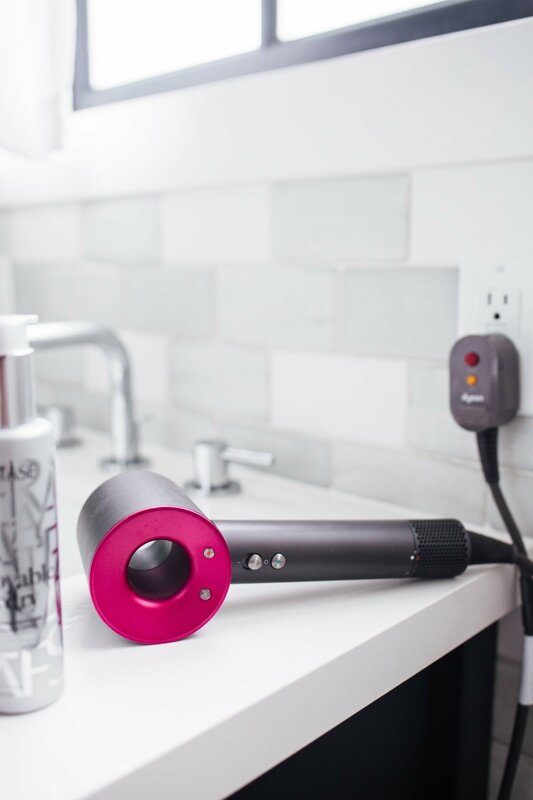 The Dyson Supersonic Hair Dryer is hands down the MOST powerful hair dryer I've ever used in my life, and I've tried a TON of high-end dryers out of desperation to find something that will dry my hair faster and more efficiently. I also love that the Dyson Supersonic Hair Dryer has the motor INSIDE the handle, so your hand and arm doesn't get tired while you're holding the dryer. This dryer is also way better for your hair than a cheap dryer, because it measures the heat output every 20 seconds ensuring that your hair doesn't suffer from extreme heat damage while protecting your natural shine. 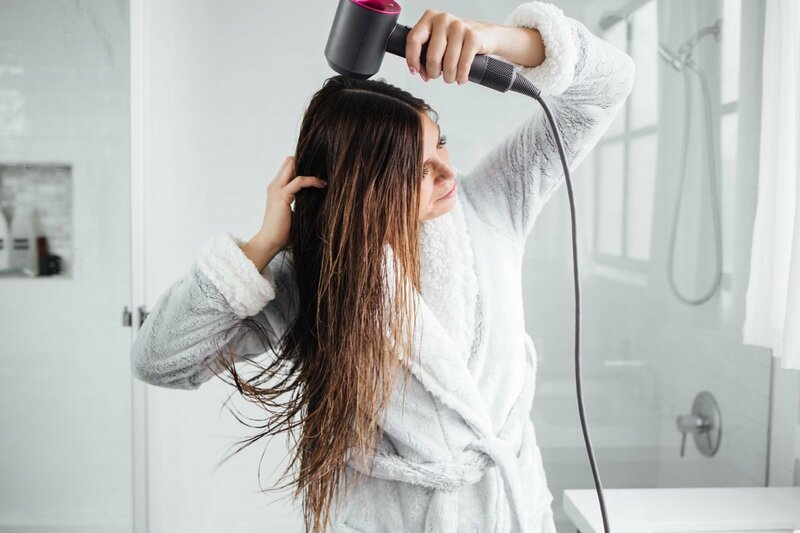 FOR REAL, I've never used a better hair dryer in my life, and apparently I'm not the only one who feels the same because the Dyson Supersonic Hair Dryer received more awards in 2017 than any other hair dryer!!! 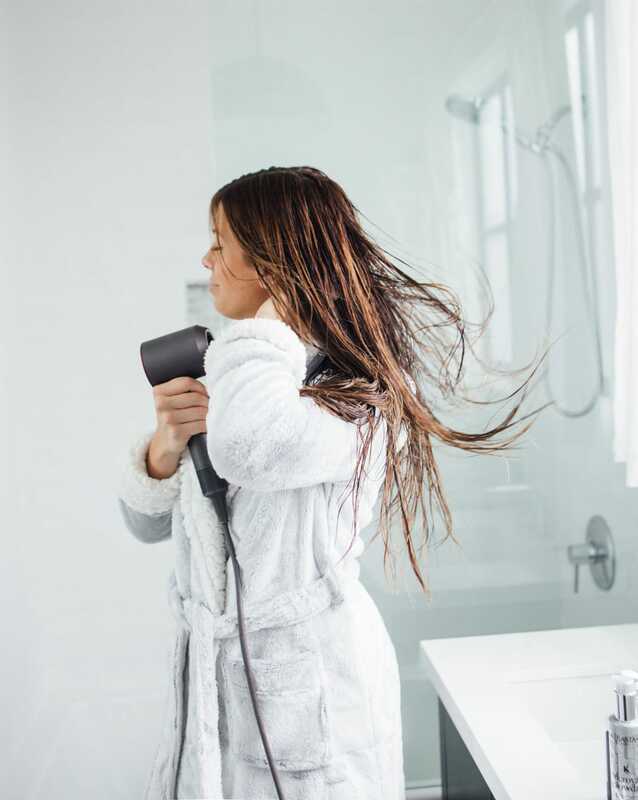 This BEST PRICE EVER on the Dyson Supersonic Hair Dryer – 38% off for $249.97 (regularly $400!!!) will probably sell out fast! So if you've been dying to get one of these, DON'T wait because I have no idea how long it will be before we see this deal again! I have been wanting one of these for a long time and this is such an amazing price, thank you! Can’t wait for it to arrive. It’s also 10 points per dollar at NR through sunday so it’ll give someone 2500 points, so $20 Reward immediately. Ah that’s such a great tip, thank you!! YES it totally does come with! All the attachments come with and they’re MAGNETIC. And somehow magically cool to the touch if you need to switch them out mid-blow out. It’s mind boggling!! Just out of curiosity, how long have you had your Dyson dryer? My hairdresser has had two in just over two years because they keep breaking on her! That’s a ton of money for it to only last a year so I was curious to know how long you’ve had yours. Thanks! Keep in mind your hairdresser dries several heads a day, Where as you will probably only use yours once a day, so the wear and tear factor on any professional use item is going to be much different than a consumer using it.